The Idaho Coalition believes that effective social change in the prevention and intervention of violence against women and girls, men and boys, requires a strong foundation and an integrated multifaceted strategy informed and adapted by knowledge, research, and measurement through a catalytic collaborative. The starting point for any social change is a carefully structured foundation to guide the social change process. The foundation can be supported by a strong theory of social change, a logic model, and/or a conceptual framework. A strong theory of change is an empirically justified articulation of how and why one expects a desired change to occur (Anderson, 2005; Hernandez & Hodges, 2006). It involves identifying the desired long-term objectives (e.g., what are we hoping to accomplish? ), and then working backwards to identify how specifically to achieve measurable outcomes tied to the goals (e.g., how do we get there?). It is similar to using a logic model to guide one’s work, but differs in that it intentionally and explicitly incorporates established theories as well as scientific evidence to create an empirically justified conceptual framework (Hernandez & Hodges, 2001, 2006). A logic model framework is a tool are usually a graphical depiction of the logical relationships between the resources, activities, outputs and outcomes of a program and are used to assess effectiveness. And conceptual frameworks are basically “road maps” or vision designed to connect how we think about a problem with how we address that problem and what we hope to accomplish through our actions. Examining adolescent relationship abuse, stalking, and sexual assault within a conceptual framework that examines root causes and possible solutions is a way to continually examine one’s own accountability: How well is a program meeting its goals? Is a program engaging in practices that are likely to lead to their desired goals? 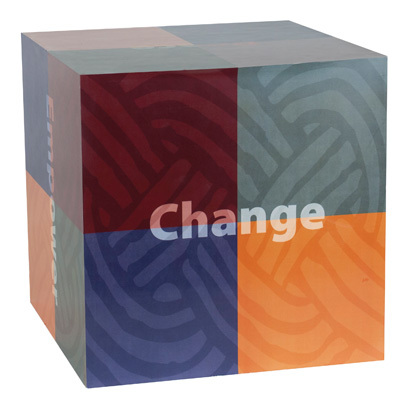 Social change involves an ongoing integrated multifaceted strategy. By building the capacity of collaborations to develop and implement multifaceted initiatives or campaigns, we believe we can create a catalytic collaborative that has collective impact or reaches critical mass to create social change. Step 1 – Commitment of a collaborative (social network/community mobilization) to active participation, openness, shared ownership and leadership, decentralized decision-making, and collective action. It means operating with an awareness of the networks the organization is embedded in, and listening to and cultivating current and new networks to achieve impact or critical mass. For more on the essential role of collaboratives click here. Step 2 – Build internal capacity of collaborative by acquiring knowledge, exploring theories and mapping the concepts as well as assets and obstacles and ongoing evaluation to assess effectiveness. Step 3 – Sort through the inventory of the possible components of an integrated multifaceted initiative or campaign (evidencebased, promising or emerging interventions). Step 4 – Design a multi-faceted initiative, campaign, or initiative based on Steps 1 – 3. Step 5 – Implement a multi-faceted initiative in demonstration sites. Step 6 – Scale to collective impact or critical mass through the nurturing of networks. Step 7 – Adapt throughout the process based on ongoing evaluation, access opportunities or vehicles for social change, and respond to evolving research. Step 8 – Sustainability through ongoing evaluation to determine effectiveness, policy, leveraging resources, protecting investment in social change.